It's time for Dare to Share! I know I say that a lot but this week I really mean it. It was one of those non stop weeks, where I was on the go way more than I was home. 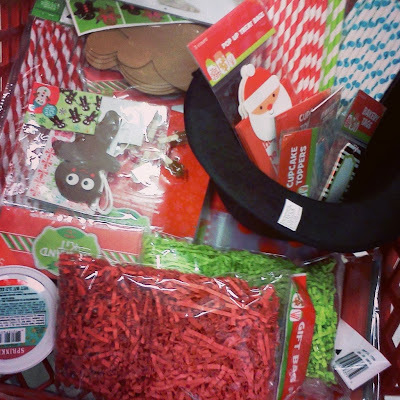 On Monday, I just had to go to Kohls to start Christmas shopping, and to spend a birthday gift card. I had been lucky enough to get a 30% coupon in the mail. I also had $10 in Kohls cash and a $5 promo card. My best deal was a $59 handbag for only $20 after sales price and coupons! I also picked up the cute guy in the picture above for a certain someone.. (shh! don't tell her) Once the kids came home from school I almost forgot that Kara had an orthodontist appointment. I remembered 20 minutes before the appointment time. (whew!) She got some new wires and a few of her brackets were moved. She also got the good news that the expander can come out at her next appt. We then had to go straight to dance since the orthodontist had been running a bit late. Tuesday was even busier than Monday. I had Kyle's IEP meeting in the morning. This was his first one at the high school. If you have a child who has an IEP, you know they can be very long and stressful. Thankfully that was not the case this time. As he gets older, they are becoming much easier. This time I got some happy news.. His support team felt he was doing great! I also heard that he did something that I never thought he would do. In his social group he noticed the new girl was sitting off by herself. He left the group activity, and went to go talk to her. After talking to her for a few minutes, she decided to come join the group. (for an Aspergers kid to do that, it is HUGE!) In the evening I had to go to a 90 minute parent meeting for the Robotics team. Everyone is thrilled that Kyle decided to join the team. It is considered a competitive sport so he can letter, and there is a big chance he will get scholarships for college. He will also be spending a lot of time with kids who have the same interests as he does. Wednesday I had a bit of a break. I just had to be the mom taxi. Kara and her dad took her hamster to the vet in the evening, because Cocoa has developed a lump on her backside. Kara got the news that it is a tumor, and could be cancerous. She is sad, but already thought that is what it was. They did give her some meds to give the hamster daily for a bit to see if it makes a difference. Trying to give a hamster medicine is quite interesting. Thursday was conference day, so there was no school. The kids got a nice restful day off. Mom not so much. I went to my woman's group meeting in the morning to help decorate a friends house for an upcoming party. From there it was straight to the middle school for the first round of conferences. I saw 4 teachers. I could have seen 6, but decided not to go to her elective teachers since the quarter just started. I had a little bit of a break, before it was time to go to the high school. I met with 7 more teachers there. I would have seen 11 more, if Kristina was not in her program and doing 4 classes online. The conferences all went well (yea! ), but it took almost two hours to see everyone. 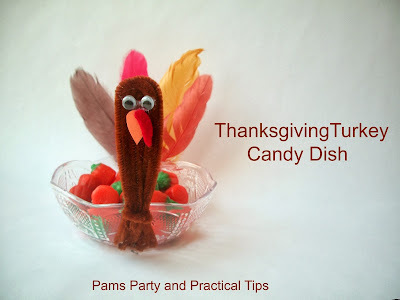 Once I got home I still had to write my special event post for JOYful Home and Life. I finally got to bed after midnight. 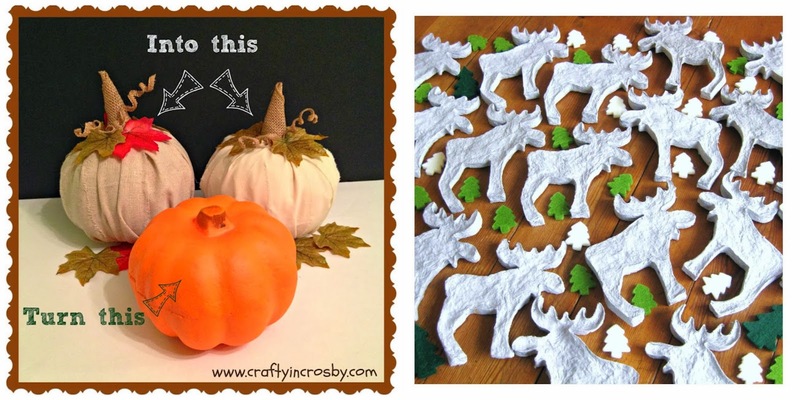 Now that you know how my week went, you will understand why I only posted one new craft. 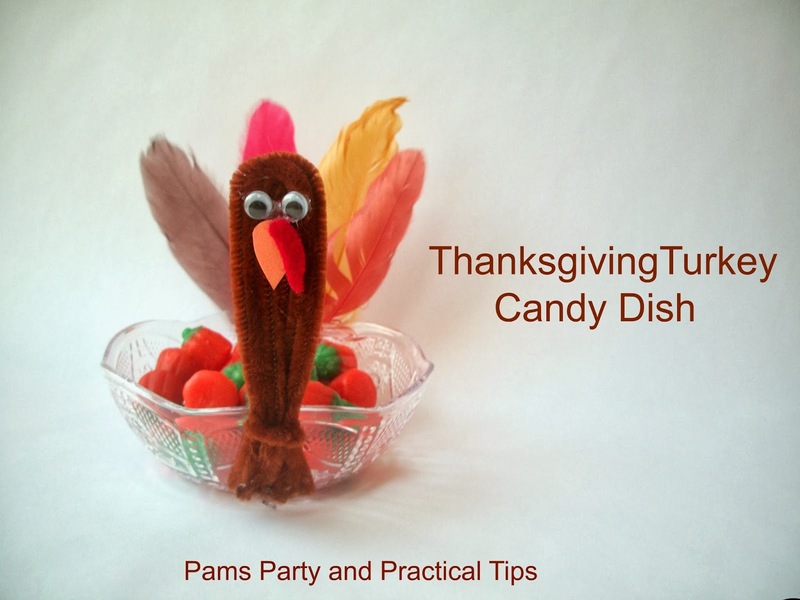 I shared how I made my Thanksgiving Turkey Candy Dish. 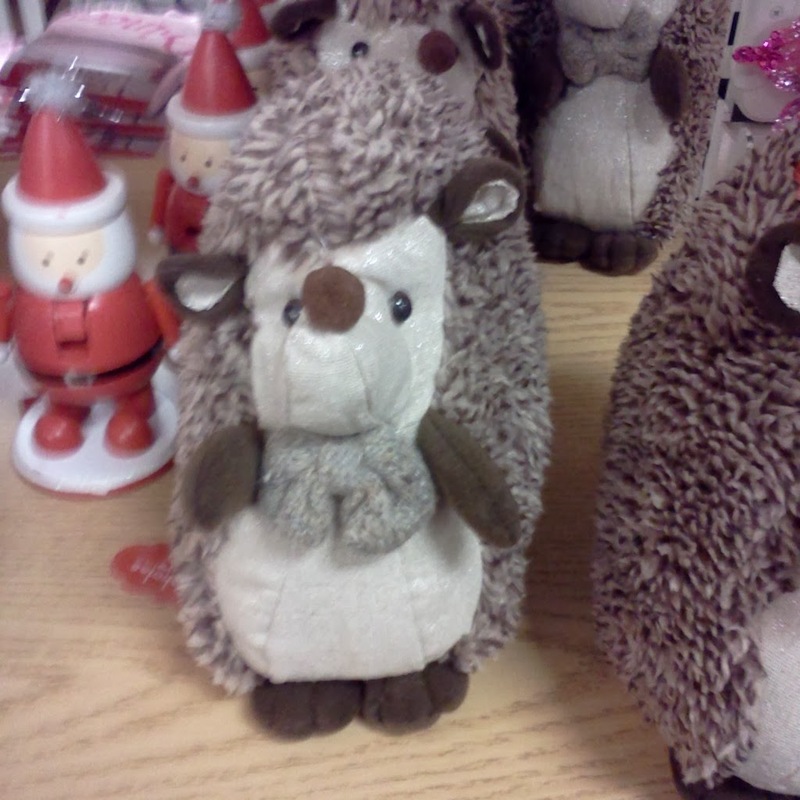 I think he will be cute addition to our Thanksgiving table. 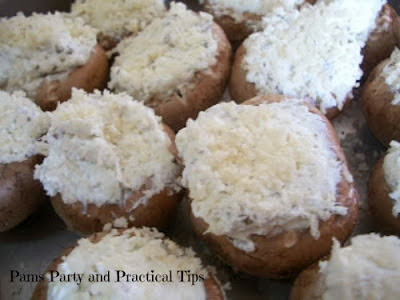 I also shared a favorite appetizer recipe for Stuffed Mushrooms. They are quick and easy to make, and disappear quickly in our house. Did you have the chance to see the Features of the Day this week? I chose two craft features, and two food features. Here is your second chance to see the crafts. 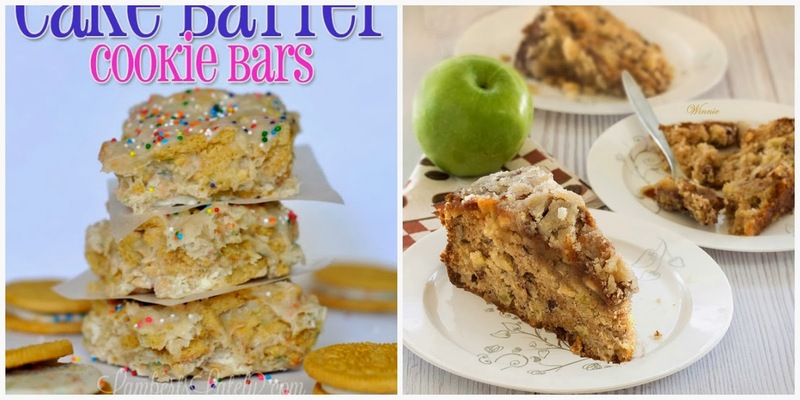 We had some delicious looking recipes linked up this week. Here is your second chance to see these goodies. Now it is time for this week's party. You can link up pretty much anything that you would like to share. If you are chosen as a Dare to Share Feature of the Day, your post will be promoted on the blog, BlogLovin, Facebook, Twitter, Pinterest and G+. Nice to meet you Marisa! Thanks! I am glad you found it. I forgot to mention it this week. You are welcome Winnie.. It looked so good I wished I could have tried some.. No major plans for this weekend, so I should get some rest. I tire myself out thinking about it too.. :) One reason why I chose to have my party on the weekend, is I usually have more free time.